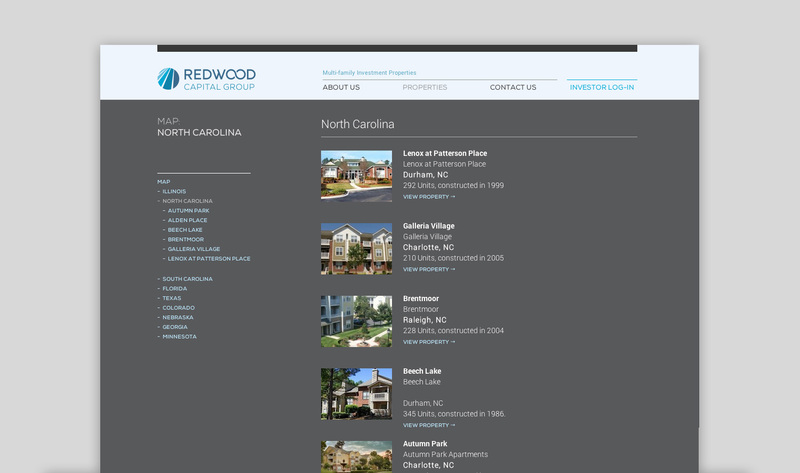 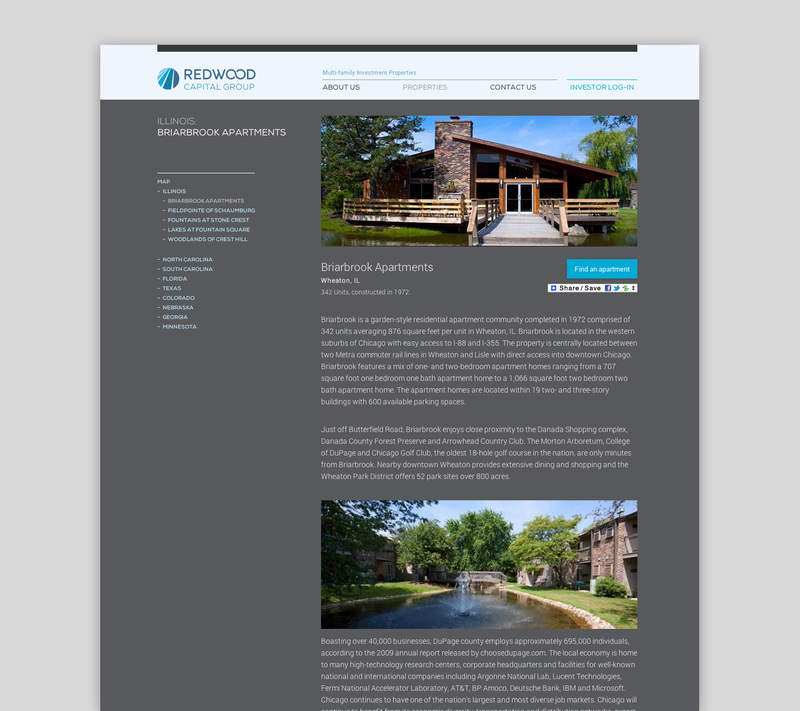 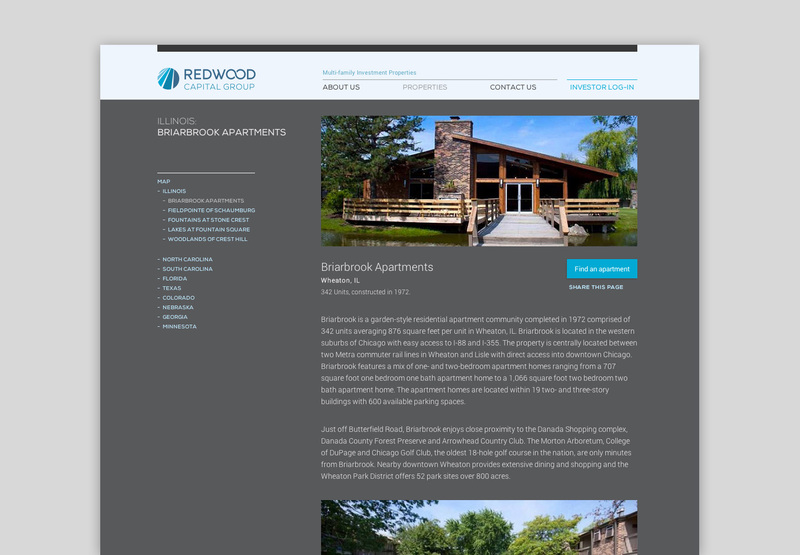 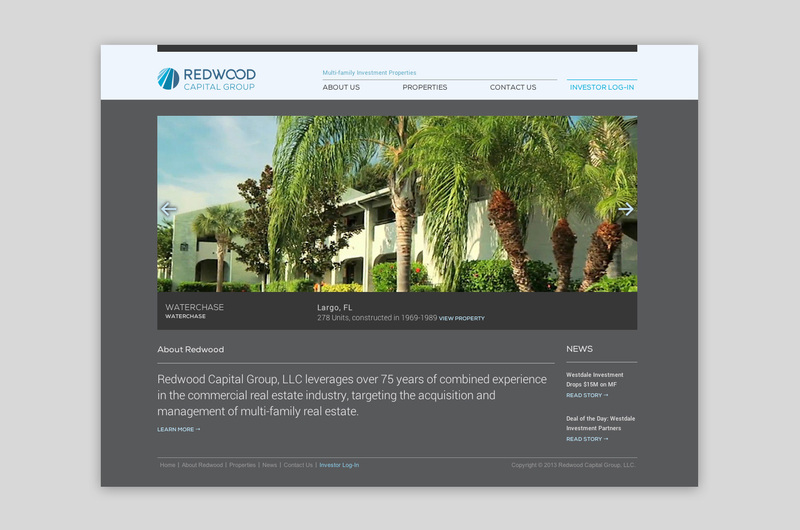 Redwood Capital Group is a company specializing in multi-family investment properties. 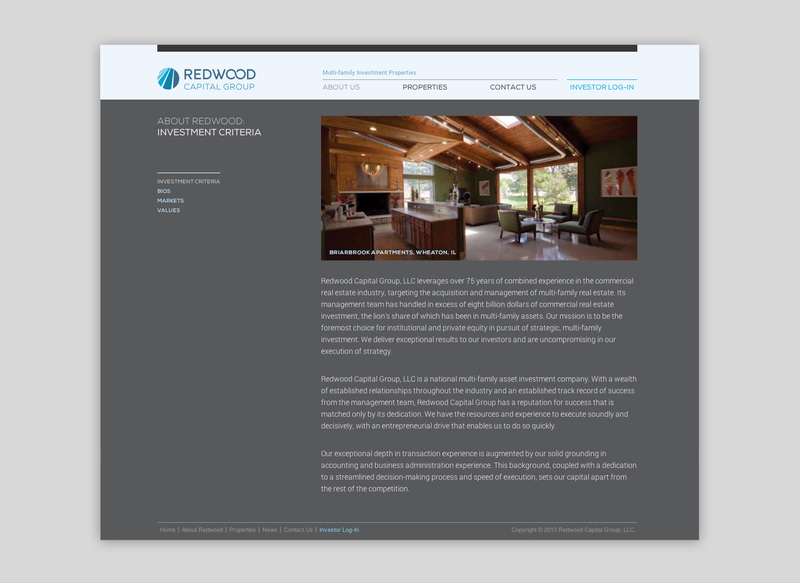 When moving away from their parent company, they approached Hazen to do the rebrand which included the logo and this web site. 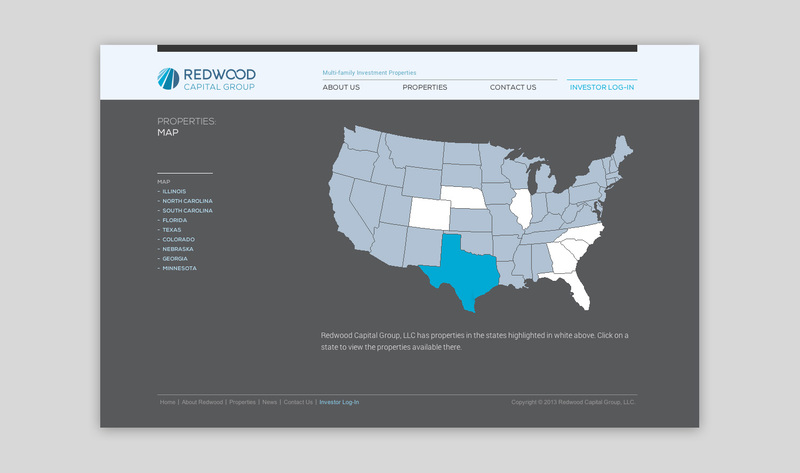 In addition to information about the company, the site features their properties nationwide organized by state and also accessible via a map.